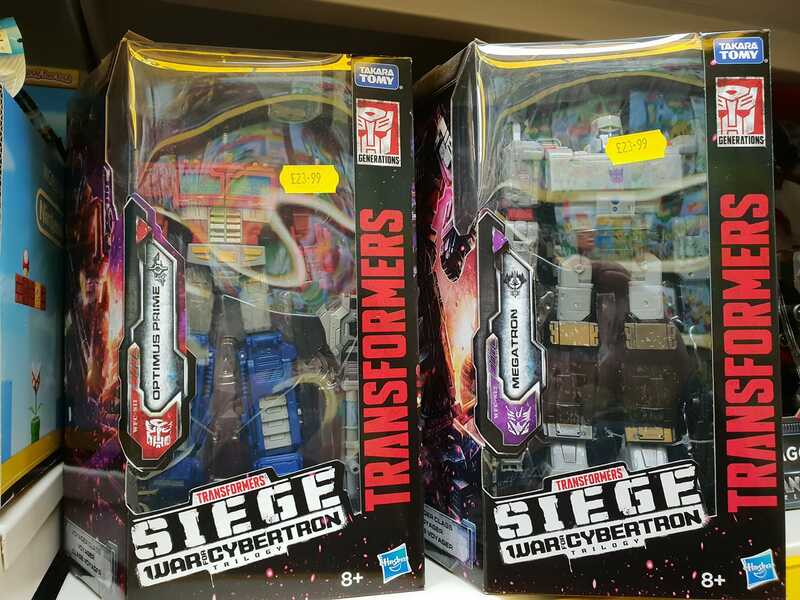 Thanks to a number of boards members, we have confirmation that the first voyager wave of the highly-anticipated War For Cybertron: Siege line has reached retail in the United Kingdom! One sighting of Optimus and Megatron was at an unnamed toy store in Crawley, and a couple of others at Smyths stores in Boucher Rd, Belfast, Wigan, and Preston. &#160; Both are priced at 23.99 and you can check store stock levels here for Optimus and here for Megatron. Happy hunting, Transformers fans! The post War For Cybertron Siege Voyagers Wave 1 Sighted At UK Retail appeared first on Transformer World 2005 - TFW2005.COM.